Get all the basic info you need about applicant tracking systems and common features, along with answers to frequently asked questions. An applicant tracking system, or ATS, is a software application that organizes recruitment, chiefly by organizing the hiring process. Many applicant tracking systems feature the ability to bulk message candidates, rate them, and store notes about them. They are often web-based. How do applicant tracking systems work? Profiles are created for each applicant with resume and vital info. Users are alerted when new applications come in. Users review candidates and take actions such as declining, emailing, or leaving a note. Actions are recorded by the system. Users review actions and see where applicants are in the hiring process. Applicants are sorted based on actions taken. Applicant tracking system developers are constantly improving their software in this competitive market. Many employers are having difficulty finding candidates or sorting through the vast number of applications they get. New features such as artificial intelligence and chatbots aim to solve these problems. Artificial intelligence can improve applicant tracking systems by intelligently sorting and scoring resumes, researching candidates, sending follow up emails, and making them easy to sort depending on the type of candidate being sought. Chatbots, which often use a form of AI, can be used to answer candidate questions, screen candidates, schedule interviews, and gather additional information about them. They use messaging apps such as Facebook Messenger, Skype, email, and SMS. Job seekers are well aware of advancements in recruiting technology and are now formatting their resumes to make sure they are parseable by applicant tracking systems. There are many articles available to job seekers on how to format a resume, and what keywords to use to make it ATS friendly. 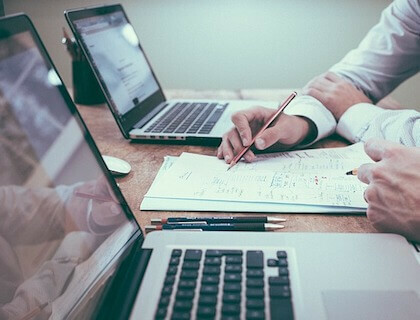 If you're not quite sure if your company needs an ATS yet, or there's no budget for one at this time, you might consider some of the free options available. 1. Use a free applicant tracking system. 2. Use an applicant tracking log template. Also known as a recruitment tracker template or an applicant tracking log, this is the manual version of the ATS. 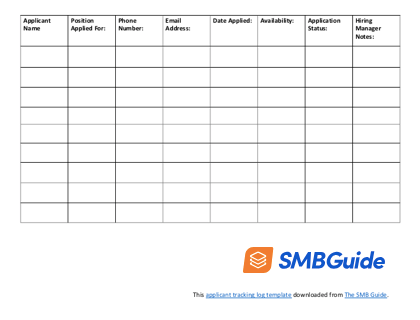 Download this free applicant tracking log template and use it to track your applications for free. Instant download, no email required. 3. Use an applicant tracking spreadsheet. These go by several names, including recruiting tracking spreadsheet, candidate tracking spreadsheet, or recruitment tracking spreadsheet. They're a bit more sophisticated and useful as an ATS replacement. You can create one in Excel or in Google Sheets so that you can access it online and share it with others. 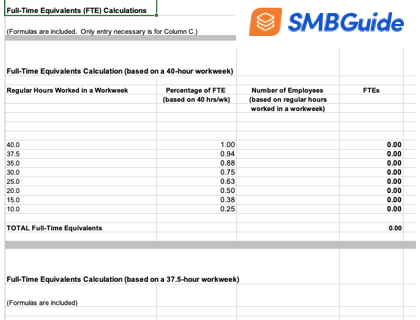 Download this free applicant tracking spreadsheet for use in Excel or Google Sheets. Instant download, no email required. Download Spreadsheet Instant download. No email required. Applicant tracking systems work by tracking job applicants as they go through each stage of the hiring process. Many ATS systems offer additional features, such as note taking, bulk emailing, and job posting. An ATS system is an applicant tracking system, or a piece of web-based software used to track job candidates as they move through the hiring process. For the purposes of hiring and HR, hiring and recruiting, it stands for Applicant Tracking System. When should I start using ATS software? You'll want to consider an online applicant tracking system when you get to the point where your company is always hiring at least one person, or when people doing the hiring are having trouble keeping track of applicants. If you're unsure, try a free version, or a free alternative to an ATS solution and see if it works for you. What is the difference between an ATS and a candidate tracker? An ATS is a web-based application tracking software. A candidate tracker is typically a spreadsheet or a PDF form used to track information about candidates. What are the top applicant tracking systems for corporate recruiting? What are the key features an ATS should have? When compiling your applicant tracking system list of features, you'll want to write down your current pain points with the hiring process. Do you have trouble attracting candidates? Do you need it to be easier for your team to collaborate on hiring? Are you spending too much time on emails? Knowing what problems you face with hiring will help you figure out what key features your company needs, and do an applicant tracking system comparison that's useful. Where can I find the most accurate applicant tracking system reviews? There are several sites that have done ats reviews that are trustworthy. PCmag.com, Capterra.com, and Softwareadvice.com all have great applicant tracking system reviews you can access. What is the typical applicant tracking system pricing? 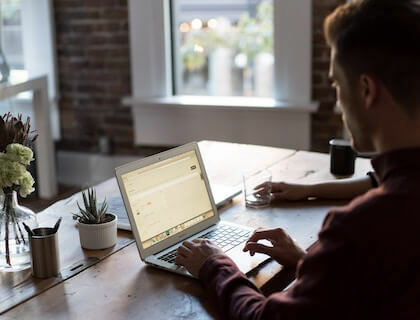 The typical price for an applicant tracking system ranges from free to $60,000 per year or more for software that is meant for large-scale corporate use. What ATS open source options are available? There are three popular open source ATS, OpenCATS, CandidATS, and YAWIC. What is the difference between an automated recruiting system and an ATS? Automated recruiting systems are more focused on the recruiting side of the hiring process, whereas an ats platform is meant to assist with the entire process, from recruiting to final selection. Why would you recommend a cloud-based applicant tracking system? A cloud ATS is recommendable because it can be accessed from anywhere you have an internet connection. This can be very convenient for being able to react more quickly to recruiting prospects, sharing information across a team, or working from multiple locations. What is CV screening software? Also known as resume screening software or a cv scanner, these allow CVs to be searched and filtered quickly, saving lots of time that would be spent manually scanning them to see if applicants are qualified. You can find some free resume parsing software available if you're on a budget, such as Big Help. When I post jobs online, I get more resumes than I can sort through. Any tips on how to screen resumes from job portals? This is a perfect time to have resume review software to help you go through all your applications more quickly. You can also try screening by automatically sending out a batch of 5 questions each candidate must answer about their qualifications and the job. The answers can be used to determine which resumes you should look at. What is the best way to manage job applications? Great applicant tracking system software is best, but even a free or a cheap applicant tracking system can help you manage job applications by giving you an easy way to organize who has applied, and where they are in the process. If this isn't an option, you may want to try managing applications with a spreadsheet. Can an ATS be used as a recruiting CRM? Yes, many of the top applicant tracking systems have similar features to a CRM, so that you can maintain relationships with your talent pool. Where can I find an applicant tracking spreadsheet template? You can access an applicant tracking spreadsheet download free by downloading one of our candidate tracking spreadsheets at the top of the page. When should I consider implementing web-based applicant tracking software? It's probably worth it for most businesses to take a free trial of a web ATS and see if it benefits their hiring process. The only time I'd warn against going to web-based applicant tracking would be if you need to collect highly sensitive personal data about applicants, and can't afford to use an ATS with a high level of security. What features do the best applicant tracking systems for small companies offer? 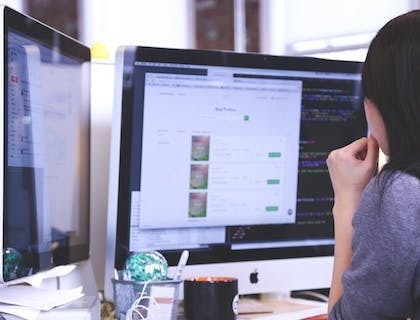 Applicant tracking software for small business offers a lot of features that you might expect for larger companies these days, such as bulk messaging, private notes, multiple users, multiple user permission levels, and recruiting tools such as job posting. An ATS works by tracking who has applied for each job, when they applied, what stages of the hiring process they've gone through and still need to go through, and keeping all the information about the candidate in a single place. What are the most important applicant tracking system features? 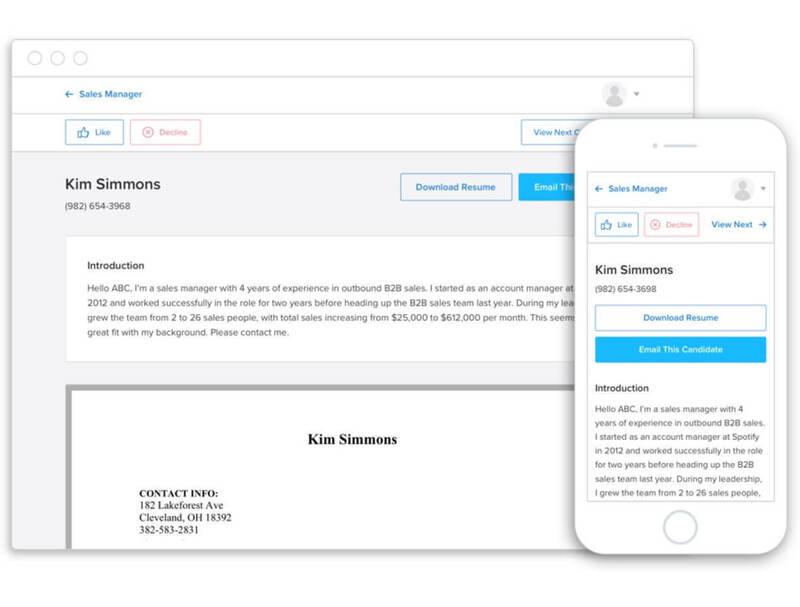 The most important features are the ability to track where applicants are in the hiring process, send bulk messages, keep notes on candidates, and share hiring info with your team. What are some popular Applicant Tracking Systems? Organizing information on applicants in one place. Preventing great candidates from slipping through the cracks. Making it easy to know where candidates are in the hiring process, and what to do next. Saving time on communication with candidates using bulk messaging. Making it easy to access information on the hiring process from anywhere.